Prepare your decks for battle!�ArtCastle are excited to announce the TestFlight Beta for Trouble With Robots!�Thanks to TestFlight adoption on iOS�the first 1000 sign-ups to the Trouble With Robots mailing list will receive early access to the Trouble With Robots game!�Your email will never be shared with a third party. We will only use it to notify you of news about Trouble With Robots and Art Castle Ltd.
TestFlight Beta is available right now and runs until the release of Trouble With Robots on November 27! Please note that you must have an iTunes account and an iOS device to participate. Maximum participants: 1000. Sign up for the Trouble With Robots mailing list! Await your TestFlight email, this may take some time. Tell us what you think via Twitter, Facebook, or the TestFlight app! 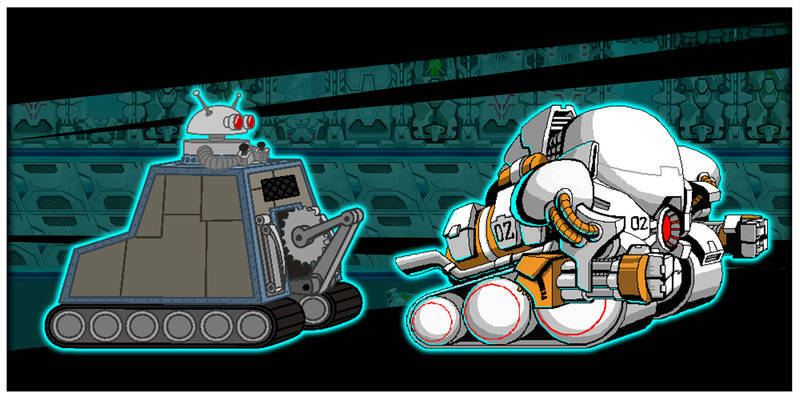 Trouble With Robots is an exciting new mobile game releasing for both iOS and Android. Trouble With Robots incorporates elements from both the real-time strategy and collectable card game genres, resulting in a title that emphasises both strategic deck building and quick decision making. Trouble With Robots will likely draw comparisons from popular games like �Ironclad Tactics� and the original �Plants vs Zombies�, which also adopt the similar goal of pushing waves of attacking enemies out of each stage. 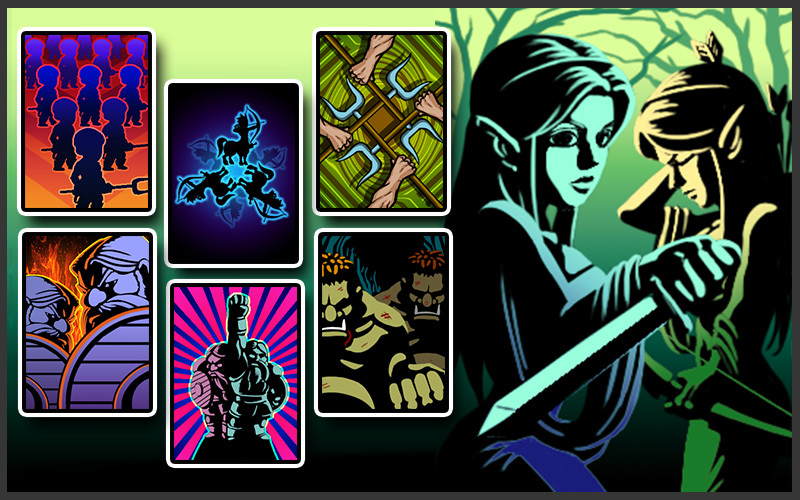 The beginning of each stage allows players to customize their deck using cards they’ve earned so far. As players grow in power, so too will their ability to summon creatures, cast spells, and execute devastating combinations! 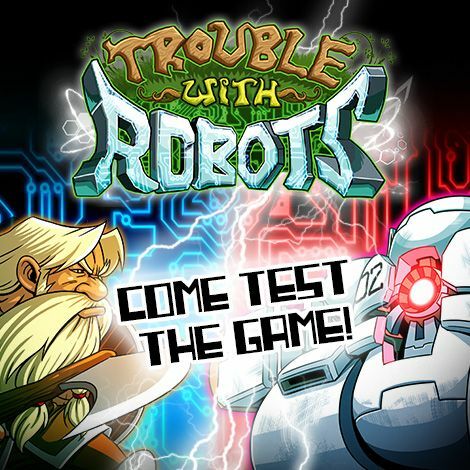 Art Castle is proud to announce that�Trouble With Robots will be releasing on November 27, 2014 to the App Store on iPhone, iPad, and iPod touch devices. 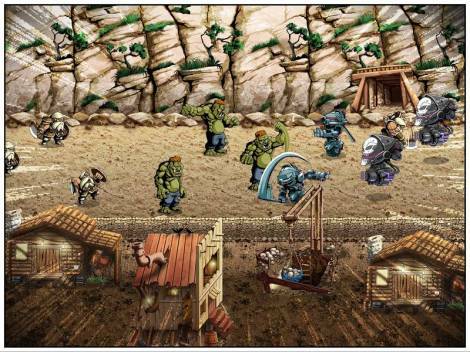 Trouble With Robots incorporates elements from both the real-time strategy and collectable card game genres. The result is a title that emphasises both strategic deck building and quick decision making. Trouble With Robots will likely draw comparisons to popular video games such as �Ironclad Tactics,� �Clash of Clans,� and the original �Plants vs Zombies.� Players of popular tabletop card games such as �Magic: The Gathering,� �Yu-Gi-Oh!,� and the �Pok�mon: Trading Card Game� will find themselves right at home in the Trouble With Robots world. 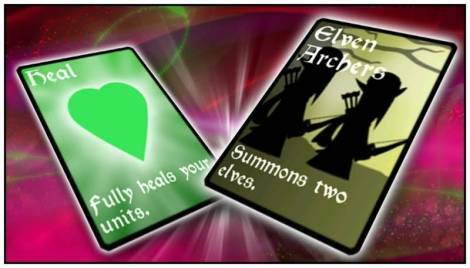 The beginning of each stage allows players to customize their deck using cards they�ve earned, therefore, as players grow in power, so too will their ability to summon creatures, cast spells, and execute devastating combinations! With well over 10 hours of gameplay the Trouble With Robots tale sends you on a humorous journey through a world occupied by many creatures of great magic and frightening technology. Embark on a quest across all corners of the map to unite the magical creatures of the land, and under your banner they will march against the growing control of Voldetron and his robotic legion. Victory may be the goal, but Trouble With Robots offers much more than just the main storyline! 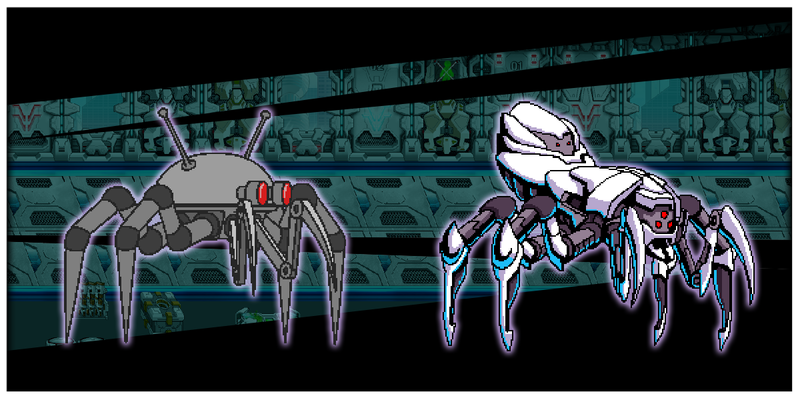 In Trouble With Robots, battles can be played in the three standard difficulties, each with better rewards: Easy, Medium, and Hard. Furthermore, Limited Mode is unlocked when main story objectives have been completed, and it cripples the player in new ways while offering greater rewards and achievements for overcoming this added difficulty. 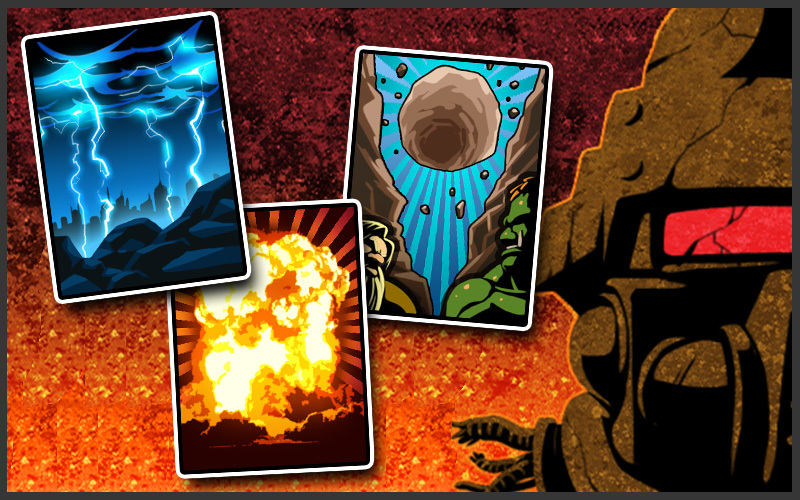 Every level offers tons of replay value with unique challenges, testing both your creativity and deck synergy! As the story progresses you’ll be able to earn and use Robotic cards! Summon a legion of metal soldiers to fight for your cause! 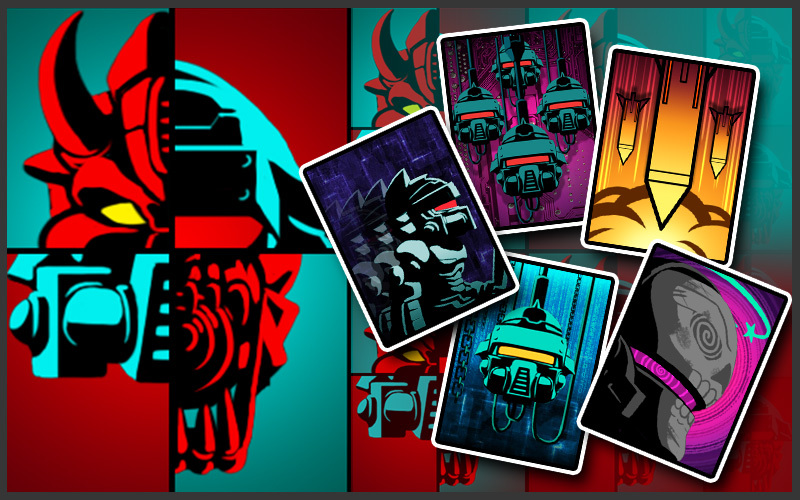 ‘Upgrade’ and ‘Droid’ are solid cards on their own, but holding on to ‘Upgrade’ makes playing ‘Droid’ a big deal. 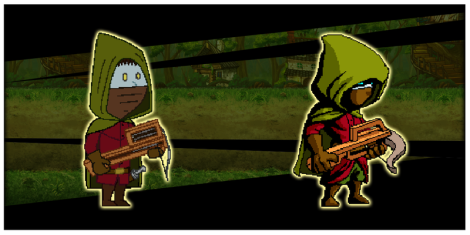 ‘Slow Motion’ is an obvious advantage for your ranged units, and even makes aiming ‘Rocket Drop’ easier too! Re-wire is always a favorite, so long as the unit has less than 100HP you can take it over! While in hand, other cards that summon Batonbots summon Compliance Officers instead. Summon two People Management Units and 2 Batonbots. Fires a rocket in large area, plus three more each time it is played. Slows enemy units for 20 seconds. 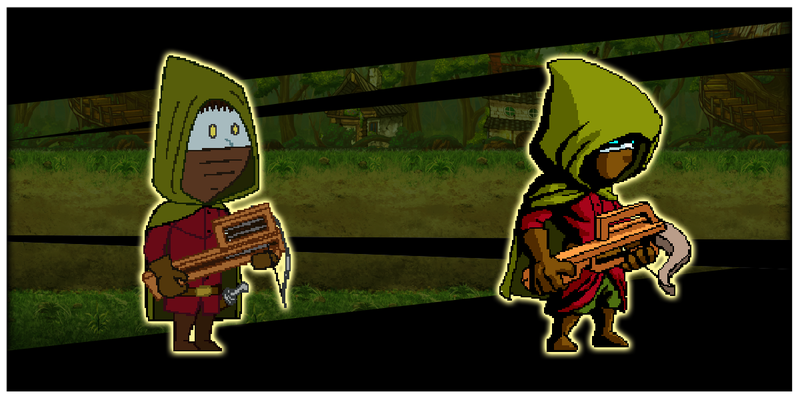 Gain control of an enemy target with 100HP or less. These are the Healing and Support cards, and depending on your card-draw luck you’ll need to think about when you use them! ‘Heal’ and ‘Hope Charm’ are your first and most basic healing options – when what you really need is a big heal. Hope Charm has the added benefit of having multiple charges, but heals for a set amount. Turn the Tide and Energize create follow-up options for the player. 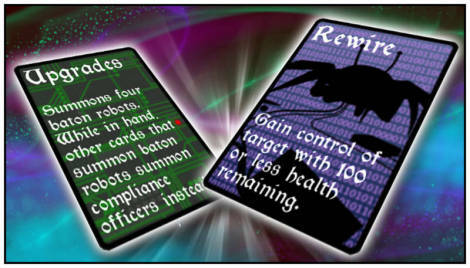 Energize removes the tight Power restrictions – meaning the size of your army is only limited by your held cards! Turn the Tide’s effect is quite titular, dealing damage to the enemy while healing your wounded. Fully heal all friendly units. Heal all friendly units 40HP per charge, 3 charges. Deal 20DMG to enemies and restore 20HP to allies in a targeted area. Effect is then applied to to all units in play. Heal all friendly units for 30HP, Power recharges faster until a non-summon card is played. Posted by Ed Mandy in Card Reveal	/ Comments Off on TWR Card Reveal #2! The Trouble With Robots story can be played in 3 standard difficulties of Easy, Medium, and Hard. You might think you’re a hotshot because you finally beat the game and all the challenge modes – but are you ready for Limited Mode? Once you’ve beaten the Trouble With Robots story you can either continue on with the Megamort Expansion, or replay the full game keeping all your collected cards in Limited Mode! Limited Mode cripples the player by locking half of their available cards, forcing them to build unusual decks and come up with new combinations to play! Each level locks and unlocks different cards to keep you from sticking to just a few strategies! You’ll need to be creative to beat TWR on some of the hardest difficulties! Posted by Ed Mandy in Teaser	/ Comments Off on Can you handle Limited Mode? 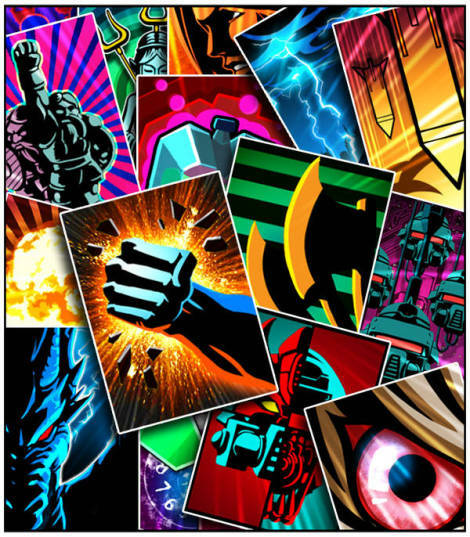 Every card brings something different to the battlefield, your job is to find the ones that fit your personal strategy! ‘Stampede’ summons 3 Centaurs, but at the cost of discarding a card from your hand while ‘Urban Bruisers’ summons 2 trolls with only 10% of their health! Will you take ‘Defiant Guard’, summoning two dwarfs and giving your army temporary invulnerability, using the timing to protect your army from heavy fire? ‘Gather Support’, summoning more peasants each time it is played, has incredible reinforcement potential but will it work with your deck’s composition? The Area of Effect spells are great for damaging lots of units at once, but which units and how they are damaged is where you’ll need to start experimenting! Targeted spells like ‘Fireball’ and ‘Boulder Crash’ are much better for burst damage in a small area, swiftly dealing with high priority enemy units. Of course you open yourself up to killing friendly units if they stumble into your targeted area, so watch where you point that thing! Abilities like ‘Lightning Strike’ and ‘Corrosion’ apply to all enemies on the battlefield, and have higher overall damage, but at the cost of being unable to target specific units. Spend as much time as you want on your deck, part of the Trouble With Robots fun is experimenting with the many possibilities! Posted by Ed Mandy in Card Reveal	/ Comments Off on TWR Card Reveal #1! The new cards are coming soon! We’ve taken the feel of the new in-game monster models and transferred it to the cards that call them into battle! Posted by Ed Mandy in Teaser	/ Comments Off on Collecting them all won’t be easy, are you up for the challenge? As the Anti-Robot Resistance gathers forces and makes their way to the Robots’ doorstep we finally get to see what thy really have up their sleeve! From lasers to battering rams… let’s just say you have your work cut out for you. 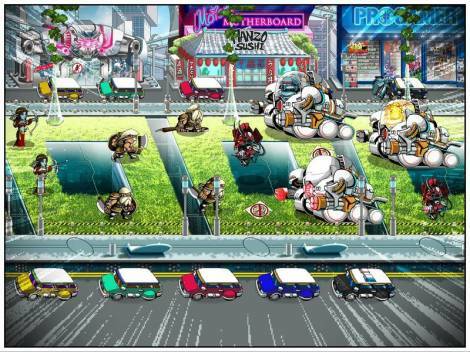 The Robots’ City is as high-tech as their weapons, but they barely have time to fight with all the shopping they do! The Battlebot steamrolls through enemies without a care in the world! You’ll need a big axe to even make a dent in that guy. Sometimes you need to fight metal with metal! ‘Elf and Safety’ is one of the introductory levels in Trouble With Robots, and will be your first glance into the magical, and oppressive, world. 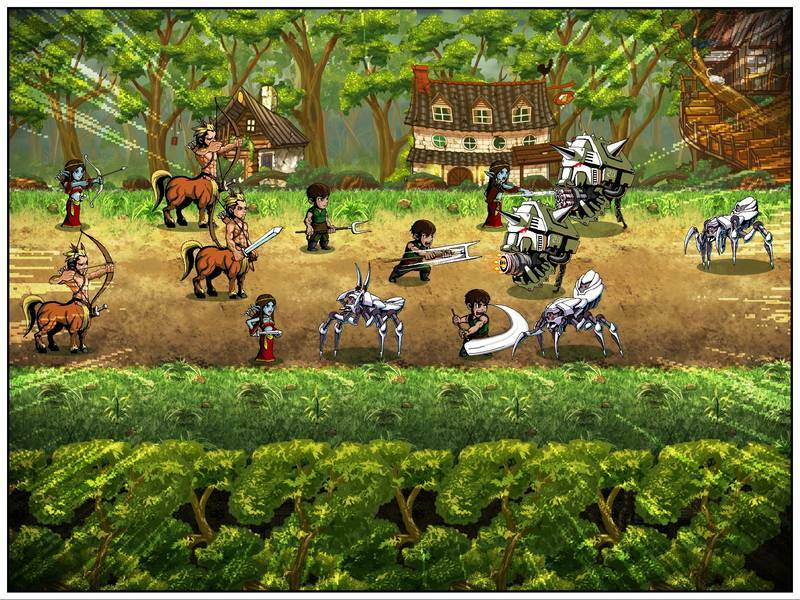 Join the villagers of Trollworth, along with their elven and centaur comrades, as they are forced to leave the safety of their forest home to battle their mechanical overlords! When the Robots started making trouble in their neighborhood, the villagers opted out of moving in with their Auntie and Uncle in Bel Air. These will be staple cards in your deck until you start unlocking the bigger and badder summons/spells! The Ranger, and similar summons, are deceptive when played in the right decks. Although only a single unit is summoned, the buffs they bring along with them open up some destructive combos! Posted by Ed Mandy in Level Spotlight	/ Comments Off on TWR Level Spotlight: Elf and Safety! 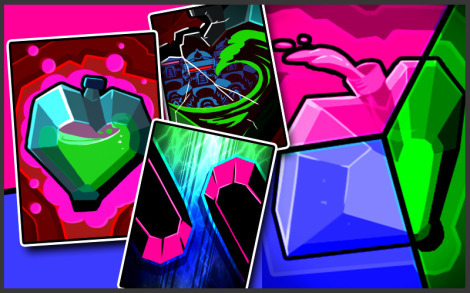 Trouble With Robots has over 19 primary levels, 6 challenge levels, and 8 level expansions – the completion of each level unlocks tons of rewards that will help you along your way. The mountain-themed levels will be the first time we see the Troll summon in action, and start to use the dwarves in battle! As you progress through the game levels are unlocked you will earn ‘Stars’, the in-game currency, and new cards along with them! 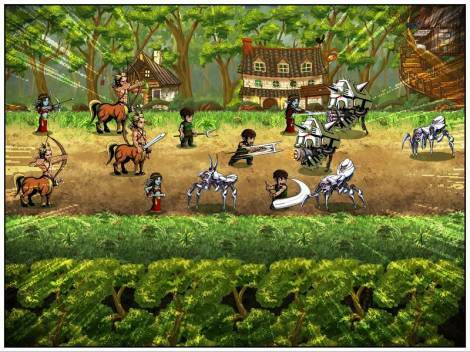 The Trouble With Robots adventure takes you from the forest, surrounded by elves and centaurs, to the robot-ruled city as you fight alongside your magical companions for freedom – each level featuring unique art that captures the look and feel of the inhabitants as well as the world around them! This level takes place atop a mountain riddled with dwarvish mines! 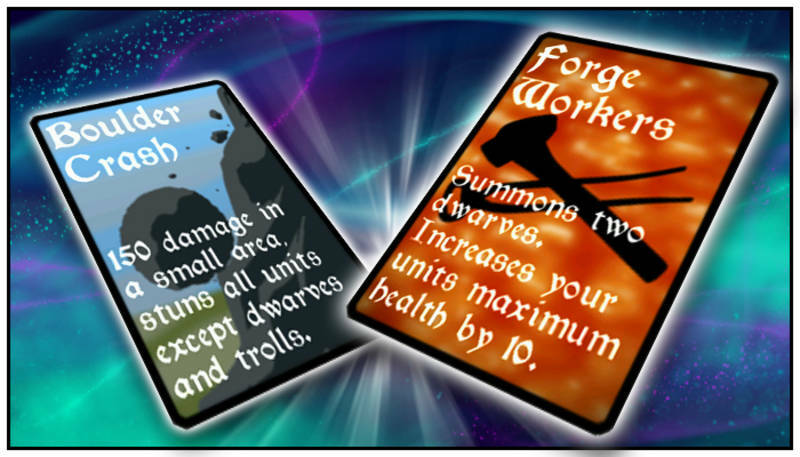 A sneak peek at 2 cards you will definitely find useful in the level above! The Troll is one of the first big HP tanks you will be able to summon! Posted by Ed Mandy in Level Spotlight	/ Comments Off on TWR Level Spotlight: Dwarf Fortress! 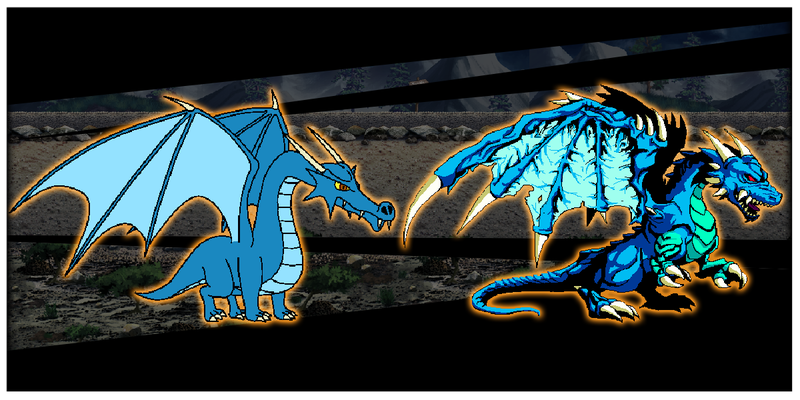 When you play certain cards this Storm Dragon rains lightning down on your foes! Definitely not someone you want to mess with, but having those claws in your deck may come in handy! The ‘Dropbot’ is just a couple legs shy of being a spider – but you don’t need arachnophobia for this guy to scare you! These robots live up to their name by dropping onto unsuspecting warriors during battle. 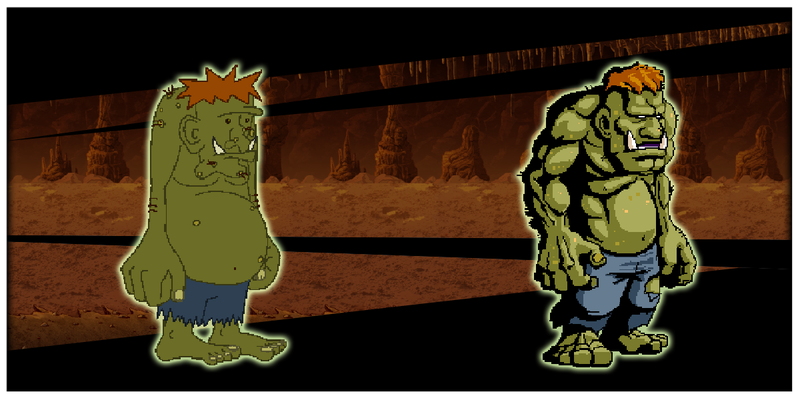 Posted by Ed Mandy in Art	/ Comments Off on More TWR Monsters get a facelift!